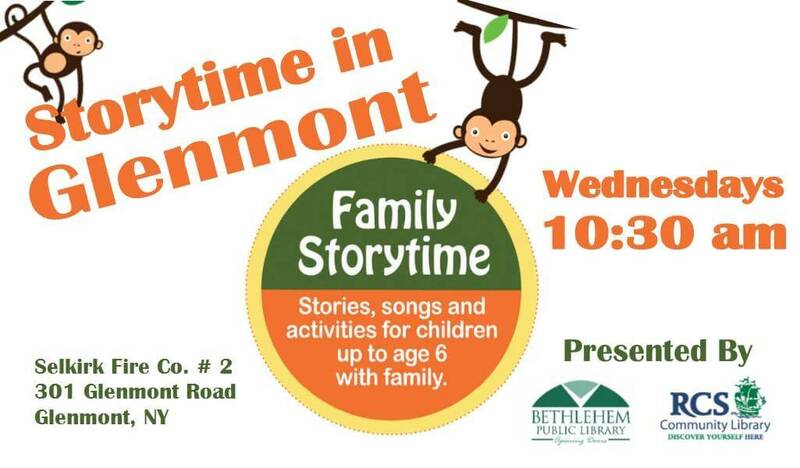 Starting on Wednesday July 12th, and every Wednesday going forward, the Selkirk Fire Department is opening up their doors for “Storytime In Glenmont”, which is a joint venture between the Bethlehem Public Library & the RCS Community Library. Kids up to Age 6, and their families, are invited to the Selkirk Station #2 firehouse, located at 301 Glenmont Rd. Glenmont, next to the Town Squire Plaza, at 10:30AM, to hear special stories, sing songs, and participate in exciting activities.